Mark Twain is a fantastic worker to paint many miniaturs. On his website you found many pictures and information about the hobby. He have an great painted Collection from Chronopia. In the last Chronopia sale from Prince August, few years ago, Mark buyed many Blister and Boxes. In a part of the Boxes the Metalminiatures are little damage. Mark make an article with pictures about the problem and give introduction to fix the problem. I started on Facebook a Chronopia Blog. It is not a part from Chronopiaworld.com! 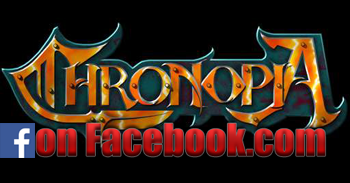 If you interested to support Chronopia on Facebook, write me a mail with your Facebook Nick. The User Teo Ch on Youtube.com maked two nice version from Dwarven War Thorka. Since may Prince August is selling off their stock of Chronopia figures. To a very low price ended this story at 10. november 2014.